Berlin High School, the Olentangy Local School District’s fourth high school, is scheduled to be completed in time for the 2018-2019 school year. Pictured is the north side of the building which faces the road. The school building is located at 3000 Berlin Station Road in Berlin Township. 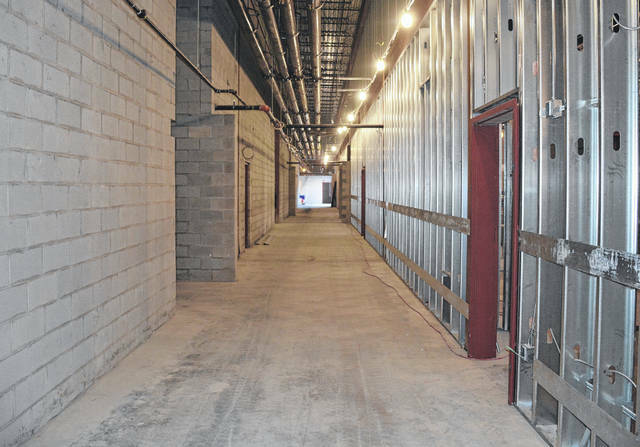 This hallway is still under construction inside Berlin High School. A crew works on the inside of Berlin High School. By the time football season rolls around this fall, the new field at Berlin High School will be painted with the school’s logo. Pictured is the field as it appeared in November. Faced with an ever-growing student population, the Olentangy Local School District set out in early 2016 to have a fourth high school built and occupied by the start of the 2018-2019 school year. 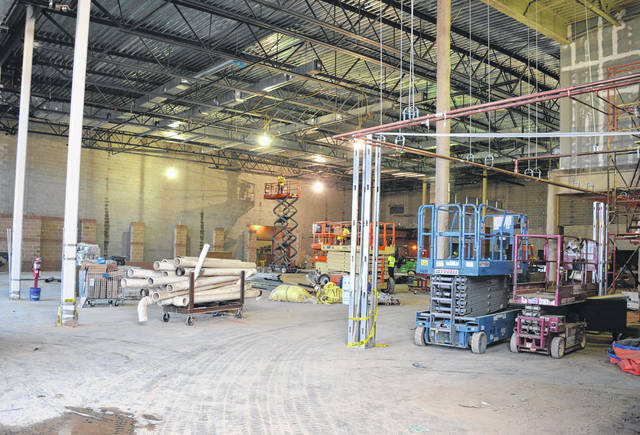 According to Public Information Coordinator Devon Immelt, Berlin High School is on track to open its doors in time for the first day of the new school year on Aug. 15. In addition to construction being on schedule, the project continues to proceed along under budget. 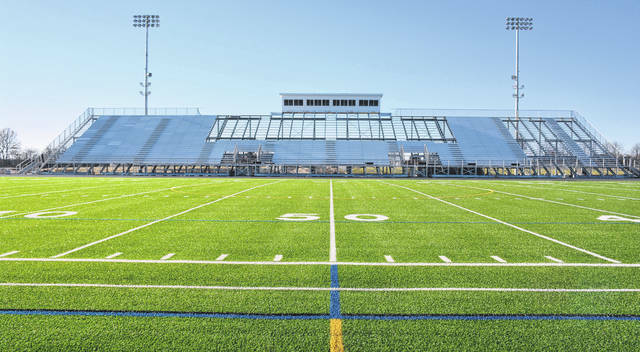 Located at 3000 Berlin Station Road in Berlin Township, the new home of the Berlin Bears is approximately 70 percent complete. 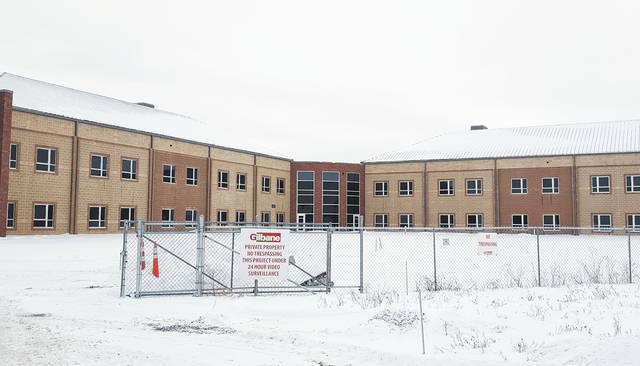 As for the 30 percent of the building left to complete between now and August, the major projects include finishing HVAC installation, flooring, painting, and installing finishes. Once the weather breaks, crews will turn their attention to completing various outdoor projects like laying asphalt and all the landscaping work, he added. As far as the outdoor athletic fields are concerned, crews will be out in full force within the next several months to have everything ready for fall sports. At a date to be determined, Immelt added, the district will host a ceremony prior to the school officially opening to students. For more information about Berlin High School, visit the school’s website at www.olentangy.k12.oh.us/Berlin%20HS.